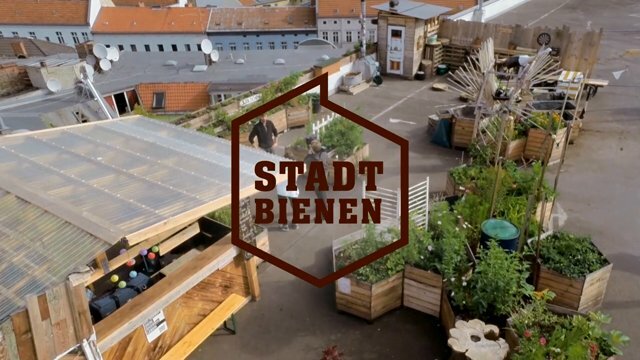 Stadtbienen eV developed the Beebox to relocate the honey bee to the urban space in order to raise their number and prevent colony collapse. “If the bee disappeared off the surface of the globe, then man would have only four years of life left. No more bees, no more pollination, no more plants, no more animals, no more man.” – Albert Einstein. After cattle and pig the honey bee is the third most important farm animal. 75% of agricultural crop and cultivated plants in Europe are dependent on the pollination of the honey bee. Colony collapse disorder (bee dying) is a rising ecological problem. Monocultures, pesticides and parasites in agriculture are a thread to the bee. 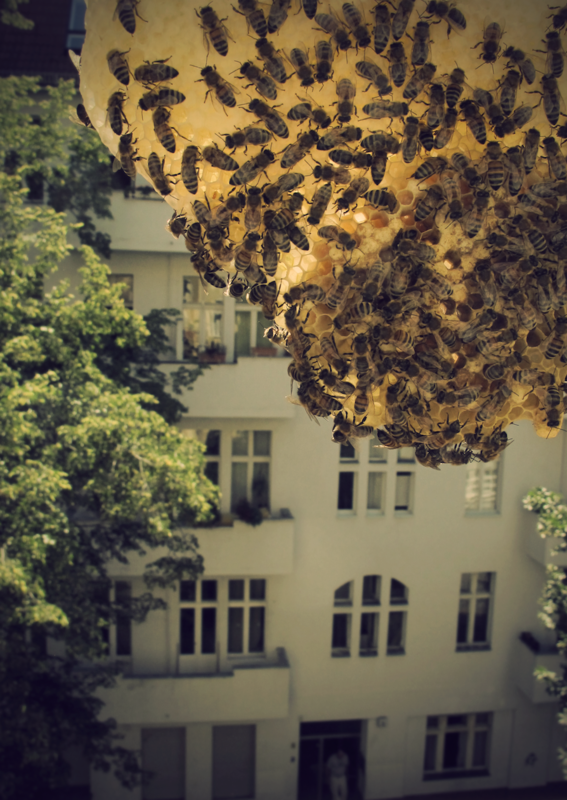 Therefore, relocating the bee to the urban environment offers a new secure habitat. Gardens, flower pots, parks and urban gardens provide diverse sources of nutrition and feed the honey bee all year without aggressive fertilizer. 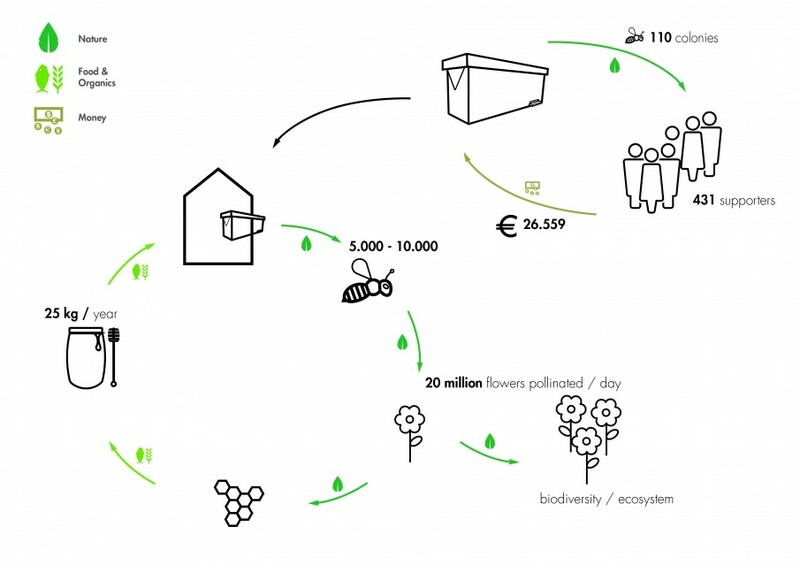 Stadtbienen eV facilitates self-contained beekeeping in the city to prevent this ecological problem of colony collapse disorder. They developed the BienenBox (Beebox) to make bee keeping flexible, easy and accessible for everyone. 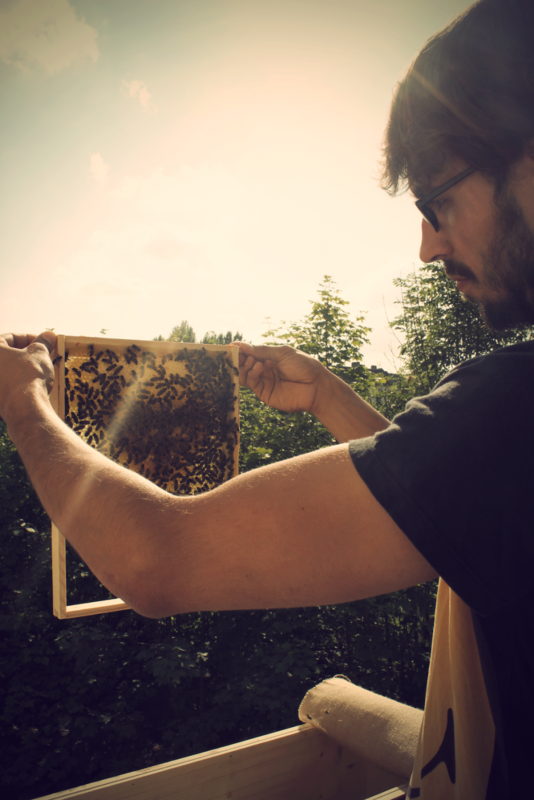 Via their website http://www.bienenbox.de and specific workshops, people can learn more about bee keeping. 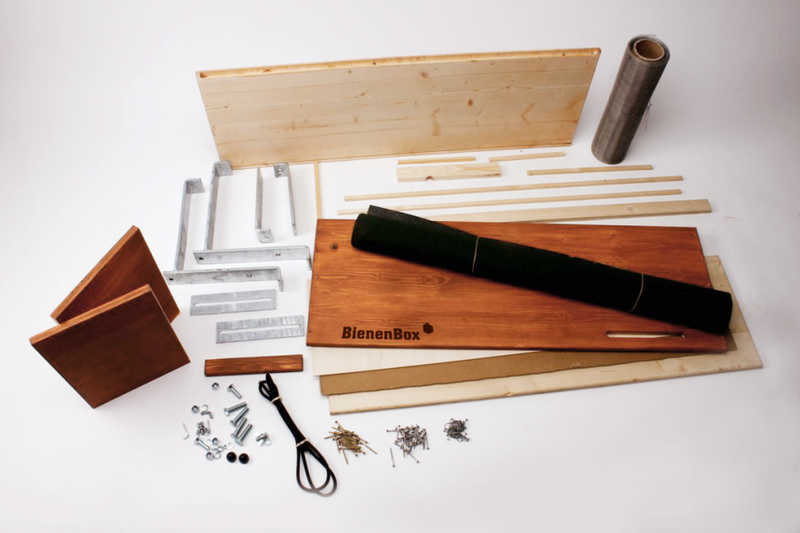 The BienenBox is specifically designed to provide an ecological shelter for the bee. That means the bees live off their own honey and naturally build their honeycomb. 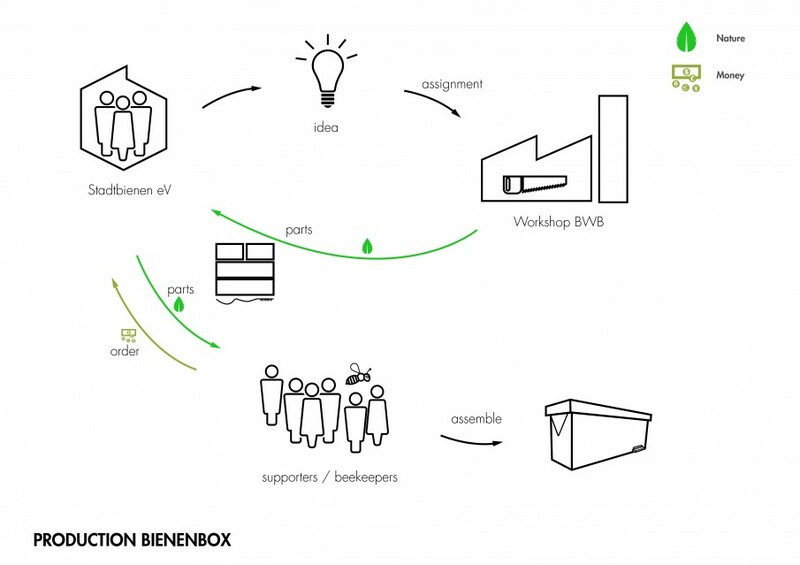 The BienenBox is being produced in collaboration with the local BWB - Werkstaetten fuer Menschen mit Behinderung (workshop for disabled people) in Berlin. On the BienenBox.de website you can order the box and technical installation equipment. After the parts have been sent to you, you can assemble them and either install the box on your balcony, garden or roof. From a local beekeeper you can then purchase a colony (5.000 - 10.000 bees) and settle the bees in their new home (April-May). Taking care for your colony takes about 20 hours per year (excluding gathering knowledge beforehand and the first intensive weeks when settling the colony into the box). The design of the BienenBox however is new and innovative. 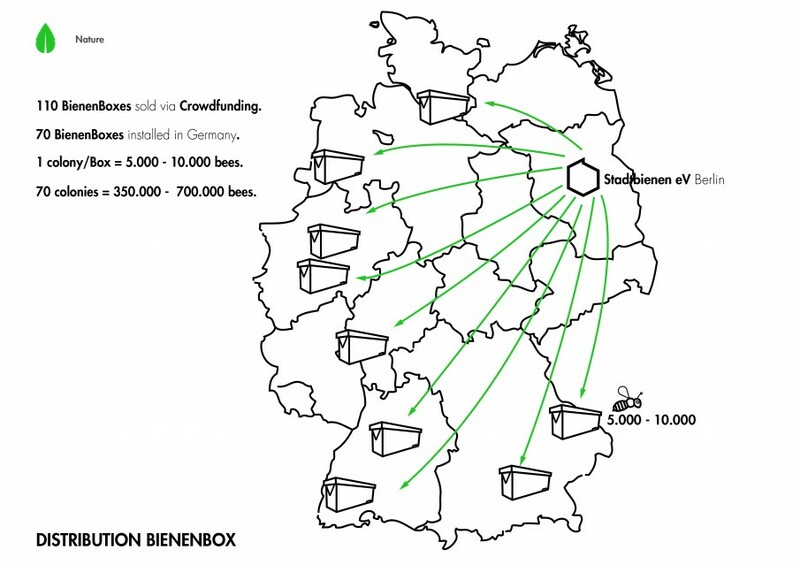 Through the crowd funding campaign more than 100 BienenBoxes have already been sold and 70 are currently installed throughout Germany. 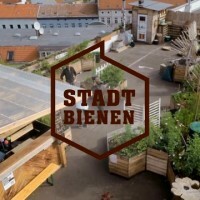 Through workshops the Stadtbienen e.V. tries to create a bigger network and their website is constantly updated. After this successful start the organization is sold some boxes outside Germany already (Switzerland, Austria and Norway) and hops to expand this in the future. 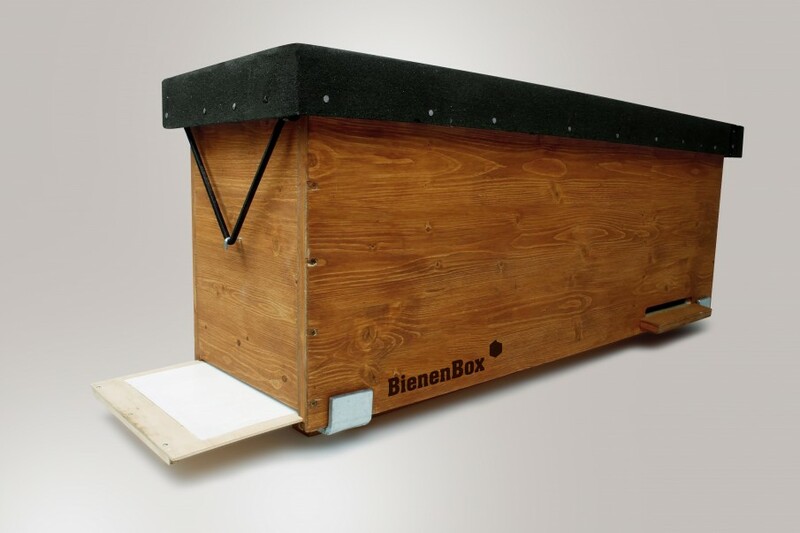 The BienenBox can not only be purchased by private beekeepers but also function as an educational tool for schools and through cooperations with universities and institutes Stadtbienen eV tries to support research projects. 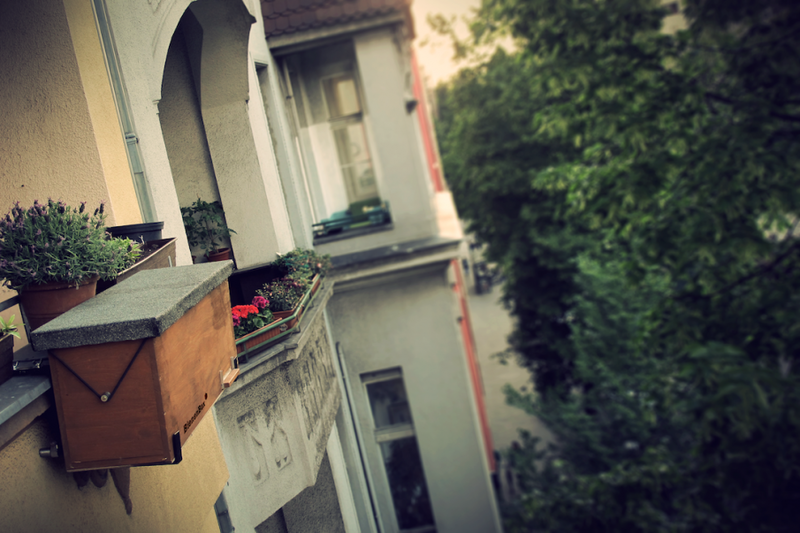 Due to its space saving design, the BienenBox can be installed on any balcony and thus makes beekeeping easy and accessible for everyone. The BienenBox is locally produced in collaboration with local partners in a workshop for disabled people (BWB). 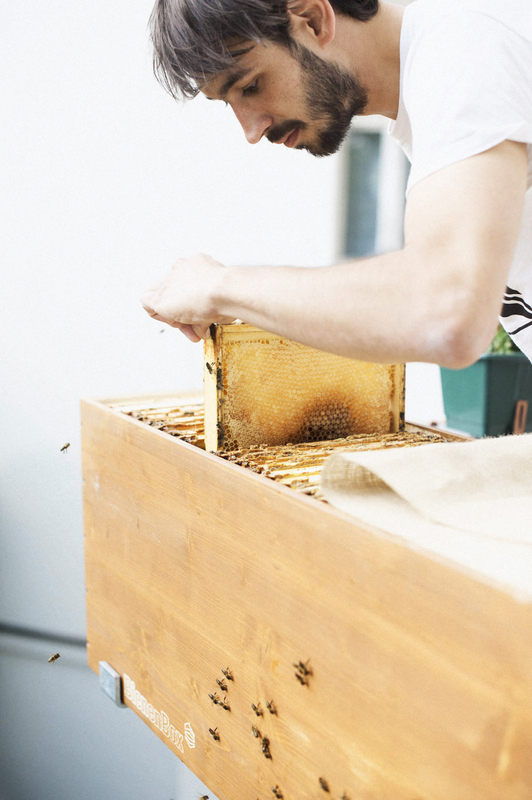 The design of the Box and its components make the shipping easy and the Box can easily be assembled and installed by the beekeepers themselves. 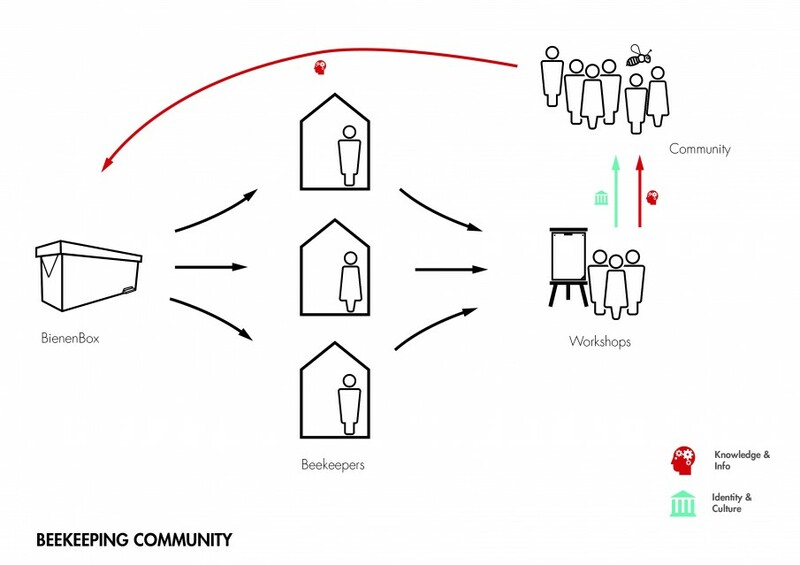 The project also offers an open source platform on the internet where people can inform themselves about beekeeping.